You know how they say a chef’s fridge is always empty, and a mechanic’s car never runs? 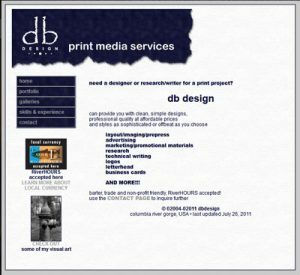 This web designer’s site was way out of date for a long time. There is a lot of interesting early work here though, including writing samples, my bachelor’s thesis, and some digital art.